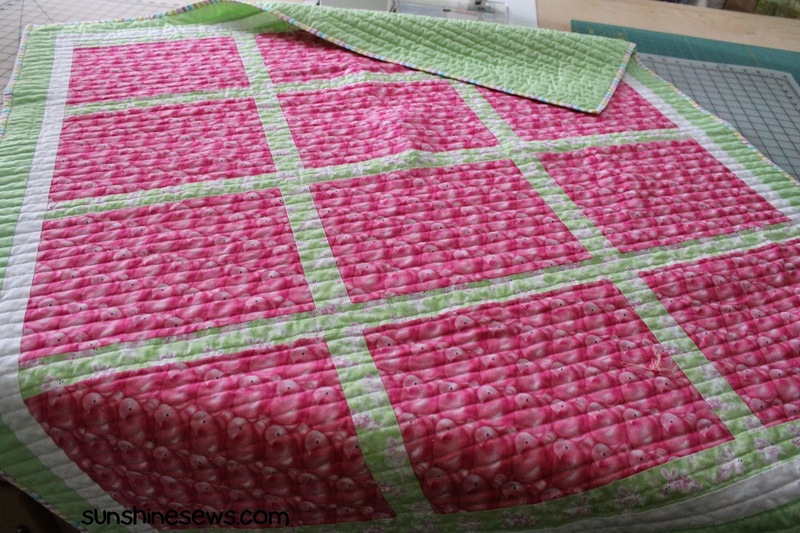 In an effort to help out our Quilts for Kids chapter leader, I've been spending tons of time updating their website, specifically the photo gallery and the blog. Phew! What a project! There were two years worth of photos to crop, label and categorize, not to mention post to the website. So with that said, I am finally getting back to updating my own blog. 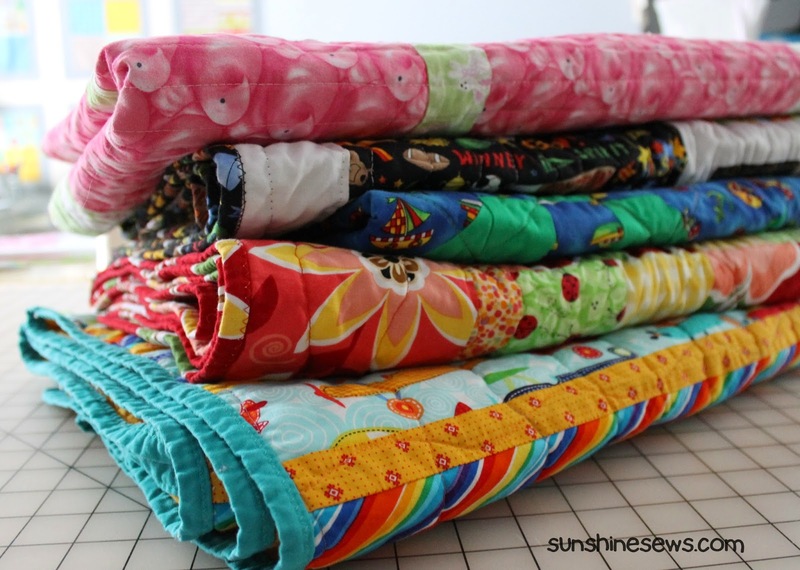 Speaking of Quilts for Kids, I do have a nice stack of completed quilts to take with me to our next meeting. It's a really good feeling to get them all done. After a year of surgery recuperation I am happy to start feeling somewhat more productive, even if it takes me lots longer to complete a project these days. I finally finished this peeps quilt to take to our next meeting/sew day. It was a spring challenge quilt that was supposed to be completed in time for Easter last year...well, I guess it's just in time for Easter THIS year (ha-ha). Better late than never.